As small business owners, we all have one overriding priority: generating more revenue. We do this by connecting to the market, developing leads and closing the deal. Throughout the history of modern business, every dollar originates from creating that initial relationship. What’s different today is that those relationships are originating online, particularly through social media channels, especially through the mother of all social networks: Facebook. The key to success for entrepreneurs in today’s social media environment lies in knowing how to cultivate those connections, nurture them, and convert them into loyal customers. So The National Notary magazine reached out to several Notary-entrepreneurs and asked them to share how cultivating relationships through Facebook has been beneficial for them. TNN: Please describe a time when you met a person at an event, became friends with them on Facebook, and then did a notarization for that person. TNN: How has Facebook helped you with word of mouth referrals? TNN: Why do you continue to use Facebook? 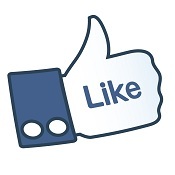 TNN: How has interacting with the NNA’s Facebook community been beneficial for you?